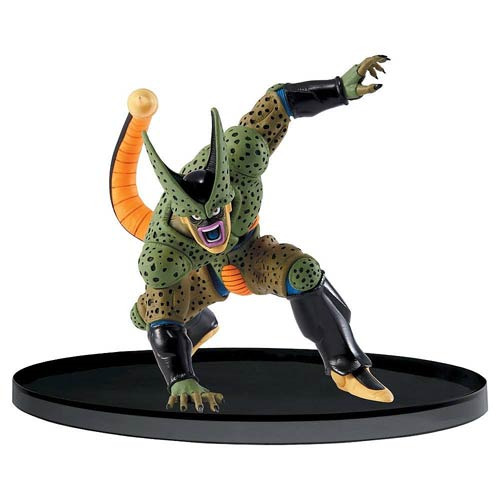 This Dragon Ball Z Cell Second Form Statue has been crafted to replicate the epic fight scene between Super Vegeta (sold separately) and the villain Cell in his second form. Cell Second Form is captured in a slight crouch as he is desperately trying to avoid Super Vegeta's flying kick. Cell stands slightly under 6-inches tall. Ages 15 and up.